Need a decadent dessert for Thanksgiving Dinner? One that’s delicious, company-worthy, and keto zone? 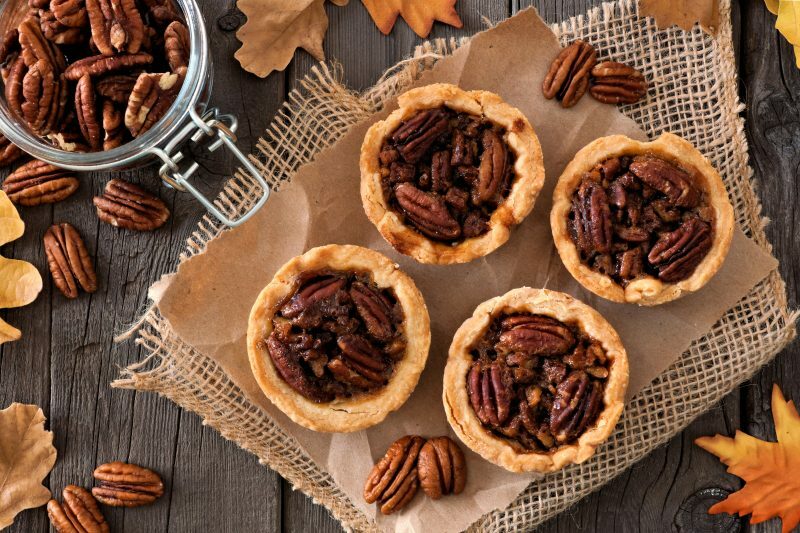 These pecan tartlets are all that and a bucketful of health benefits, too. Here’s a wonderful recipe, four additional Holiday desserts, and all the reasons you’ll want to add pecans. Timing: Allow 45 minutes prepare and bake, and 2+ hours to cool. They are even better if refrigerated overnight. Preheat oven to 350 degrees F. Grease 8 (regular-sized) muffin pan holes. Place both flours and butter in a food processor; pulse until crumbly. Add water. Pulse until dough is formed. Remove and divide into 8 pieces. Press each into bottom of muffin cup and halfway up sides. Prick crusts with a fork. Bake for 10 minutes. Meanwhile, combine 6 Tbsp. butter and sweetener in medium bowl. Beat with electric mixer until smooth. Add vanilla, maple extract, heavy cream, and egg. Beat until combined. Stir in pecans. Spoon onto baked crusts. Bake 20 minutes until set (not jiggly) and golden brown. Cool completely and place in refrigerator at least one hour. Use knife around the edges to loosen before popping out. Enjoy! Keto Zone Pumpkin Pie – A Keto Zone Thanksgiving favorite! Keto Zone Chocolate Mousse – Quick, easy, and decadent dessert. Pumpkin Protein Pancakes (Crepes) filled with Keto Zone Cranberry Chia Jam – Why not? 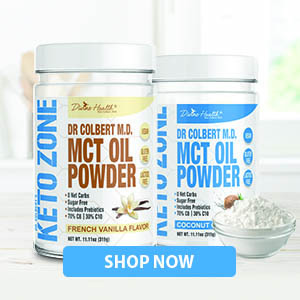 Keto Zone Carrot Cake – Not a pie fan? Try this carrot cake. Pecans work great within a keto zone diet. They are the second highest fat-content nut with the lowest protein and carbohydrates (among tree nuts). Each ounce, or 19 halves, provides 21 grams of fat, 3 grams of protein, and 1 gram of net carbohydrates. 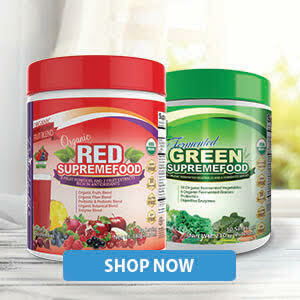 In addition, they are loaded with health-promoting vitamins, minerals, antioxidants, and phytochemicals. For keto zone eaters, the benefits of pecans are many. Studies have shown that a pecan-rich diet can improve blood sugars, beta cell health and insulin sensitivity when compared to other high-fat diets (1, 2). When cells are more sensitive to insulin, the body requires less. This improves the cells’ health and keeps metabolism in peak fat-loss mode. 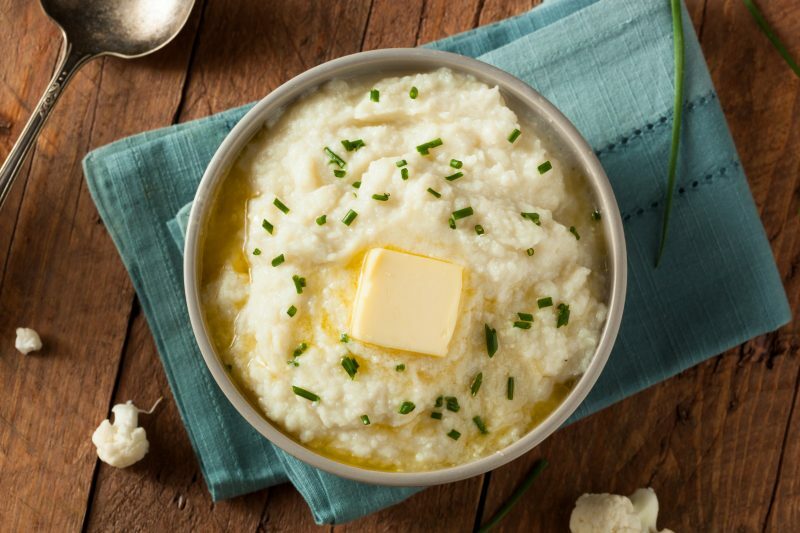 Some foods simply make you feel fuller. Pecans and other high-fat foods stretch the stomach to signal fullness and directly affect hunger hormones in the brain, such as ghrelin the “hunger hormone.” When pecans reduce ghrelin, it helps you eat less. Simple carbohydrates, on the other hand, can increase ghrelin levels (3). What’s more, pecans are rich in manganese. Manganese supports thyroid health and weight loss (4). What’s better than healthy weight loss? Weight loss with great daily energy. Pecans offer minerals that support energy production, and copper is one of the most important. Copper is required in more than 50 different energy-producing reactions in the body. Specifically, it supports the creation of ATP, the body’s source of energy and a key to human metabolism. In addition, copper is necessary for iron absorption thereby reducing weakness and fatigue. Pecans’ antioxidants help prevent carcinogenic compounds from binding to DNA and growing. In research, the antioxidant-increase is measurable 24 hours after pecans consumption (4). What’s more, magnesium in pecans reduces signs of inflammation including C-reactive protein and interleukin-6. Help treat osteoporosis, especially in women, with manganese, copper, and zinc (5). Support brain health with thiamine, a mineral used especially in those who are seeking treatment after alcohol abuse (6). Help decrease high blood pressure (7). Improve cholesterol levels with plant sterols and healthy fats (8). This Holiday Season, you don’t have skimp on pecans. These rich, flavorful, decadent nuts can be part of a healthy high-fat keto zone lifestyle.